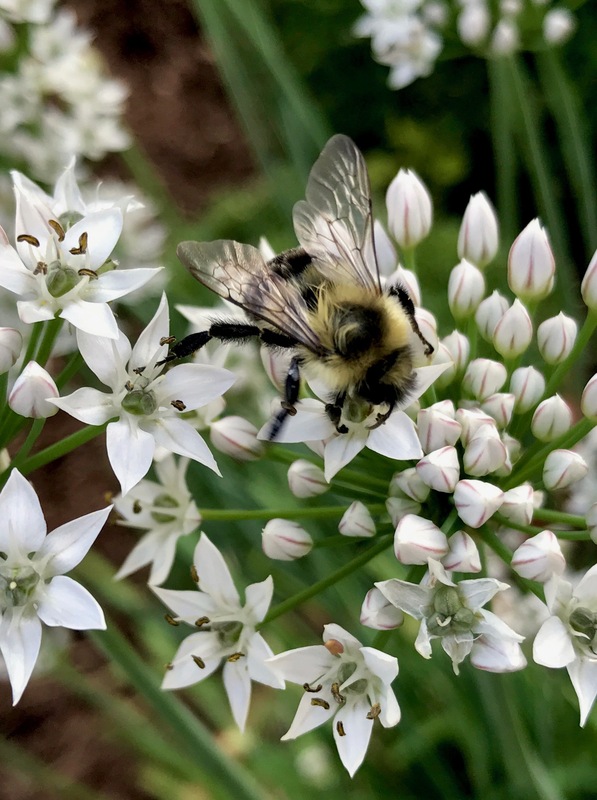 This entry was posted in Bumblebee, Nature, New Hampshire and tagged Bumblebee, Exeter New Hampshire, gardening, nature, pollinators by Annie. Bookmark the permalink. What a beautiful post, Annie! Thank you. I’m happy to see so many different bees in the garden this year. I love Bumblebees too! 🙂 We have a lot of them around! Bees are bringing up their populations in our area, which is great! 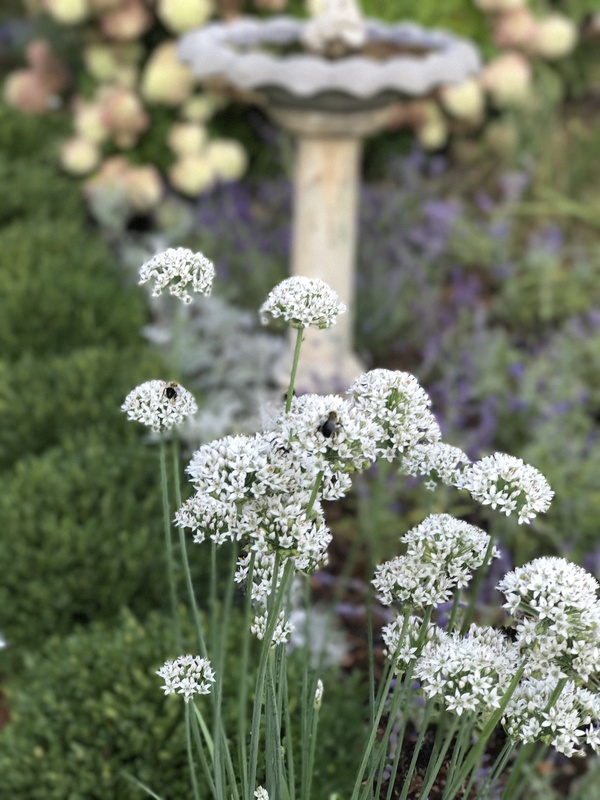 Advice for gardening with pollinators from a fellow MG in Exeter. I found you on the Strafford County MG website. Your photos are beautiful and solid evidence of what a good idea you had. We gardeners are such a creative lot, aren’t we? Diane, your hostas are spectacular! 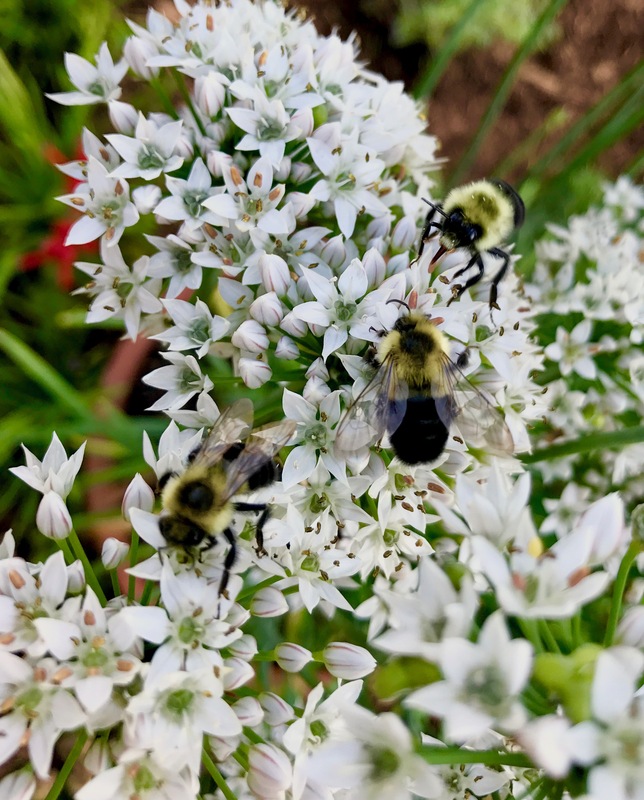 My little bumblebees also find the hosta nectar that way. So much fun to watch…. Thank you Annie. These hostas are really huge this year and give long bloom! Big job to cut down/bag at season’s end too. Do not compost these here. Too many fungal issues already! Happy fall! Wow! That is quite an interesting story! It reminds me of when I was young, my mother who loved gardening set up a bee hive on our small city lot. She originally was from Germany where she spent 2 years as a professional bee-keeper. She used to give me some drones to let crawl around on my hands – no stingers. And we had plenty of honey. But alas, some of the neighbors freaked out when we had a big swarm as well the bees regularly cleaning themselves on the newly washed sheets hanging on their clothesline. So we were ordered to remove the hive. Love reading this! I have a feeling that your mother and I could have been friends. 😊Thankfully the atmosphere around beekeeping has improved in recent years with colony collapse disorder in the headlines.